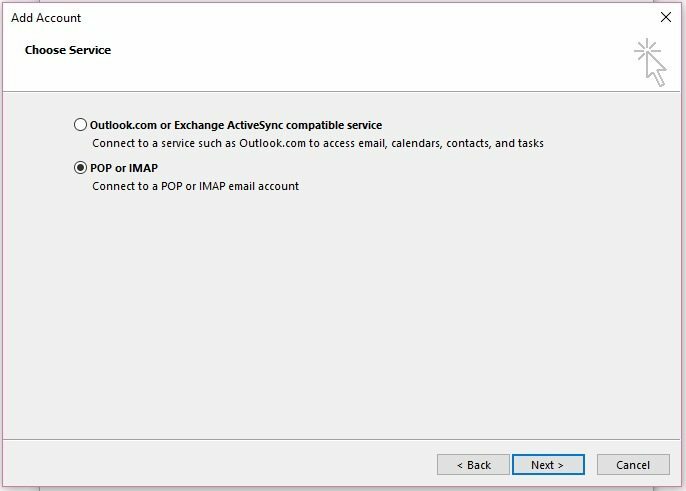 This document will show you set up your Fistbump Media hosted email account in Outlook 2016. Step 1: Open Outlook, and go to Account Settings and click on the "New..." button to add a new account. 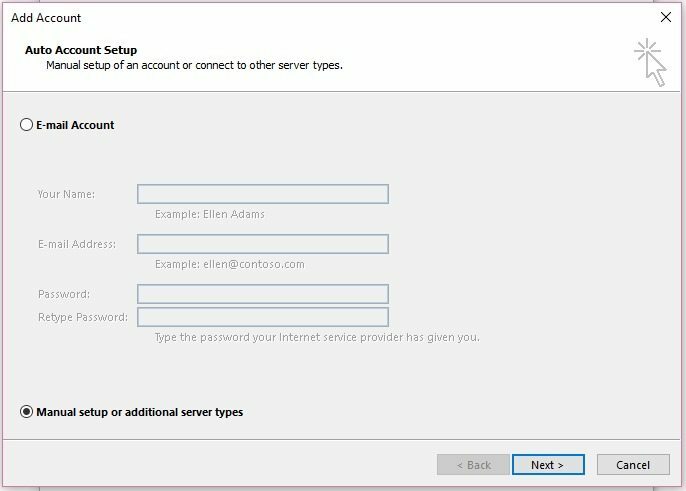 Step 2: When the Add Account window pops-up, select "Manual setup or additional server types" and click the Next button. 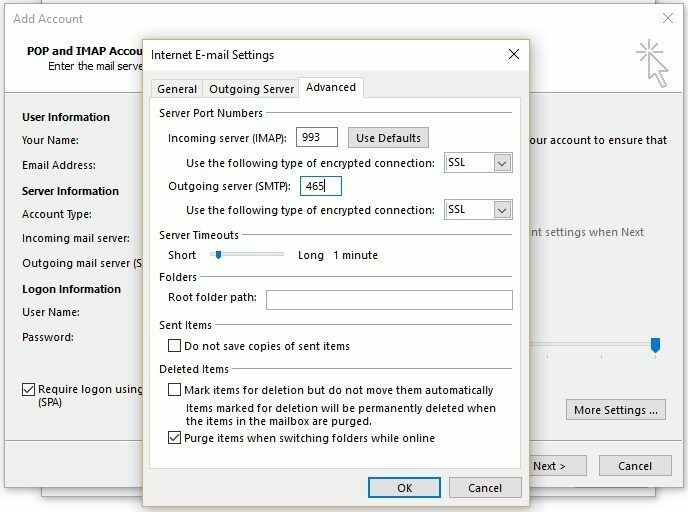 Step 4: Enter the POP or IMAP settings as shown and listed below. Username: Use your full email address. Step 5: Click on the "More Settings..." button, and add the additional settings as shown and listed below. 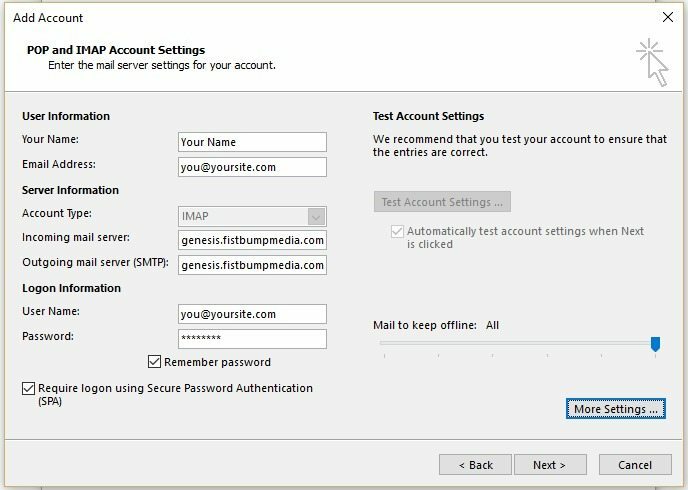 Step 6: Click the OK button, and then the Next button on the POP/IMAP Account Settings screen to complete the setup.